In case you live under a rock (and YES, i do understand living under a rock with all the scary stuff out in the big wide world...this next thing being a case in point...anywho) there is this festival of drugs and debauchery out in the Nevada desert that is called Burning Man...but should probably be called I spent a week in the desert blasted out of my gourde on methamphetamines and now I've got this rash and my junk is burning man...but that doesn't fit well on a bumper sticker. But who am I to judge anyway...wait..I'm exactly the person to judge because I created a blog specifically to pass judgement on other people and their cars...yes. Therefore, I judge this car...awesome, but overpriced. 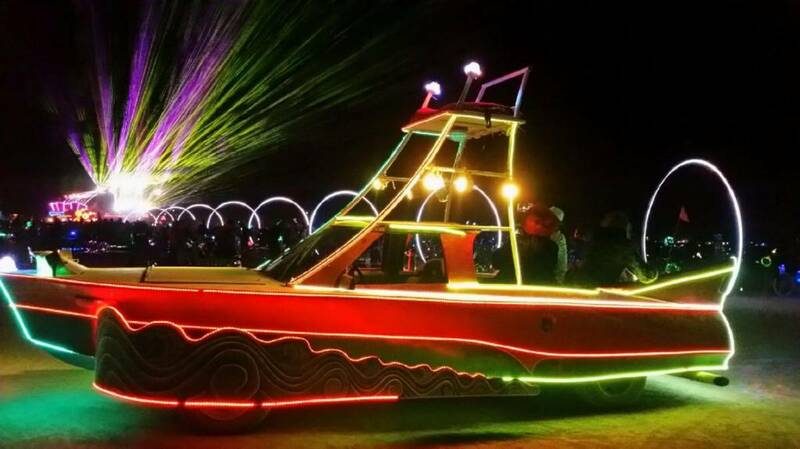 Find this 1997 Chevrolet S-10 Boat Art Car offered for $8000 in Oakland, CA via craigslist. Tip from Hugh. 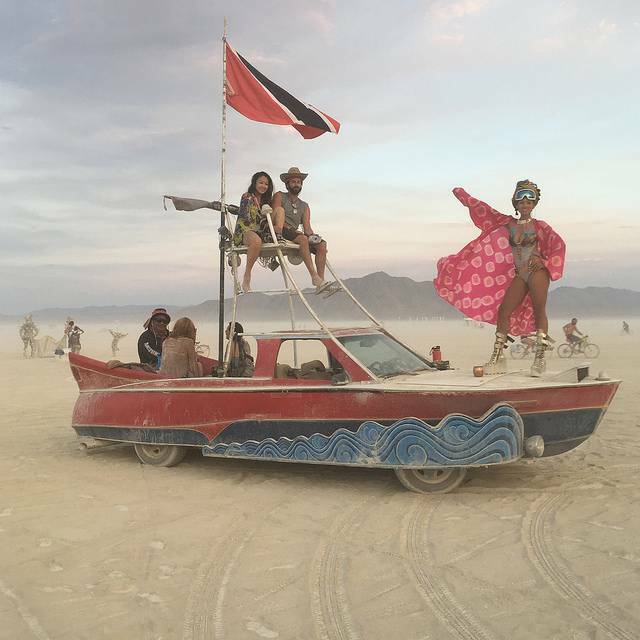 This is a used art car built for use at Burning Man. It is a 1963 Jenson Speedboat mated to a 1997 Chevrolet S10. It is dusty but it runs well and is very dependable. Has new tires, new battery, new fuel pump, new water pump, new radiator, electric cooling fans. This vehicle retains all stock lights, indicators, and equiptment required for street legal driving. Engine has been sorted and runs strong enough to peel out. It is plated in CA and is currently registered in my name in no- op status. It is extremely road worthy and has been driven at least 2000 miles on the freeway in the past 3 years at speeds in excess of 80mph with no trouble or issues. It cruises at exactly 5mph in idle for compliance with the on-playa speed limit, and has lots of visibility. Additional lighting is various AC powered party lighting fixtures, LED strip lighting in various stages of repair. You should be prepared to redo lighting if you plan to get a night license at BM. This is well built, has been a great car to drive around town, is well liked at BM, and has gotten miles of smiles in the past 4 years. If you want the lighting retrofitted , sound system added , new paint, or any other modifications, for a truly turnkey art car for BM, I can present a separate price quote. If this ad is up, it is still for sale. Call or email only thank you. I do not need help selling it, nor am I interested in 3rd party bs. Do you think that boat could tow a car? Thats quite an un burning man ask......and whats all this about drugs?